I need this missing panel on both sides of the car. Does anyone know what's it's called and/or where I can get them? Be aware that often these bumper fillers need quite a bit of work to get them to fit right. Ask the supplier about this before you buy their product. Make sure you know what your getting. Good luck. I always love seeing more 76 98's! I was just at a show this weekend with 4 '76 98 Regency Coupe's! These are a known ailment for these cars. I believe the ones that Olds64 listed are fiberglass and you should stay away from them because they fit poorly. The best ones out there are from Plastic Parts Inc. in Florida. They are made of ABS plastic and although they are not exactly an OEM fit, with some work and a lot of patience, you can get them to fit very well. I have them on both of my '76 98's and I even helped develop them with Plastic Parts. Here is a link to their site. They don't have them listed for some strange reason but if you call, they do have them. Please post more pics of your 98 and tell us more about it. Please also check out my website when you get a chance. I have them on both of my '76 98's and I even helped develop them with Plastic Parts. Straight from the horses mouth. Go with what John said. My 71 98 doesn't use a "bumper filler" per say. I just knew of the supplier I provided above, never did any business with them though. Ha, thanks 64! It's funny because just this past weekend, I saw a beautiful '76 Regency coupe (with 35K miles!) that had the ABS fillers on it. They were installed as-is and the fit was less than desirable. After showing the owner my car, he was very pleased to see that they can be made to fit much better. You might also try this place. These are definitely the fiberglass ones that I would not suggest. The ABS from Plastic Parts are admittedly not 100% perfect but they are quite a bit better than these. Correction to my previous post. I believe E&K is selling the Plastic Parts Inc. ABS fillers. I looked quickly and thought they were the fiberglass set. Plastic Parts Inc. is the manufacturer and I believe E&K is a reseller. With that said, you could get either of the ABS ones, although I can only speak from personal experience with Plastic Parts Inc. Again, I do not recommend the fiberglass ones. Oh well. These are what I bought for my '78 Toronado. I just today dropped the car off at the paint and body shop, and I gave the guy these fillers. He didn't seem to have a problem with them. I'll find out soon enough. I see that Plastic Parts does not show availability for these fillers for a '78 Toro. Only '79 to '85. I couldn't have bought from them if I wanted to. I don't get why but Plastic Parts has not updated their site in YEARS (except for the cover page only recently saying 2016). It's been years since they started making the 98 fillers and they promised that they would update the site and even use a picture of my car to promote them but they are still not there. They sell them on ebay and if you call, they have them. I just don't get why they are so slow to update the site. They actually asked me to help them with Toronado fillers in the same way I did with the 98 set but I have not come across an original set to send them and since I only have 98's I'm less prone to come across any Toro sets. I can't speak for the fiberglass Toronado ones so I'll keep my fingers crossed for you that they're better than the 98 ones. Good luck! With that said, I would definitely request that the shop not just slap them on. I would imagine with some time, any of these reproduction sets can be worked with to fit better. I've seen some that looked as if a blind man installed them. It's amazing how some shops let cars out the door the way they do! They actually asked me to help them with Toronado fillers in the same way I did with the 98 set but I have not come across an original set to send them and since I only have 98's I'm less prone to come across any Toro sets. This has got to be nearly impossible to do. Unless you can find NOS fillers still in the box that have not deteriorated, any good quality ones will have to come off of an existing car, and what Toro owner is going to want to remove an in-good-condition set of them from his car? I certainly wouldn't. The planet would have to be saved in some other way! You just have to get lucky and find a solid, original set. The timing was amazing as just as I was getting a plan in place with Plastic Parts, a very nice original set came up on ebay. I jumped on them and was VERY hard pressed to send them off because I knew they had to cut them up a bit in order to make the molds but since I knew it would benefit many people and cars for years to come, I proceeded. I have only found one good original set since. Working off a used set did prove to yield some minor detail issues that only a flawless NOS set would have prevented but good luck finding extra NOS ones to sacrifice! We have to make do with the best we can get sometimes. I'm going to work with them some more to see if they can improve on them...it's mostly a time issue. If it were me, I'd get the fiberglass ones. Much easier to fine tune them to fit the body. Probably hold up better in the long run, as well. Trust me, the fiberglass ones are not good. I've seen both examples and the fiberglass ones are molded very poorly. It's not even just a matter of getting them to fit snugly, they are cast wrong and the shape is just wrong. 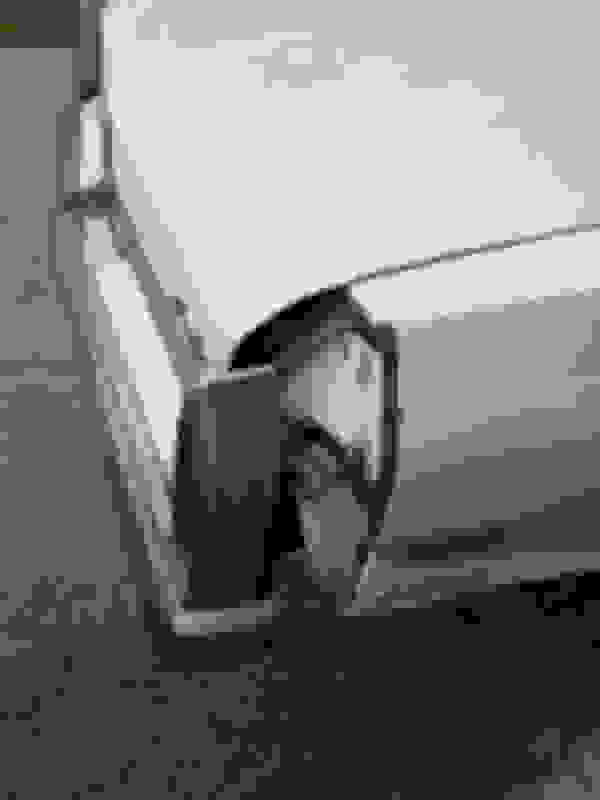 The fit the sides of the quarters fairly well but the more difficult-shaped areas around the inside of the taillight and around the trunk edge, etc. are terrible. Why do you think the ABS would not hold up over time? They are very durable and fairly thick. Most plastics don't hold up over time, look at any 10-15 year old car. Corvettes can still be in good shape after 20 years. Fiberglass is real easy to modify to fit. Maybe time consuming, as I prefer to let every coat dry overnight, but easy to grind, cut, sand, and trim. 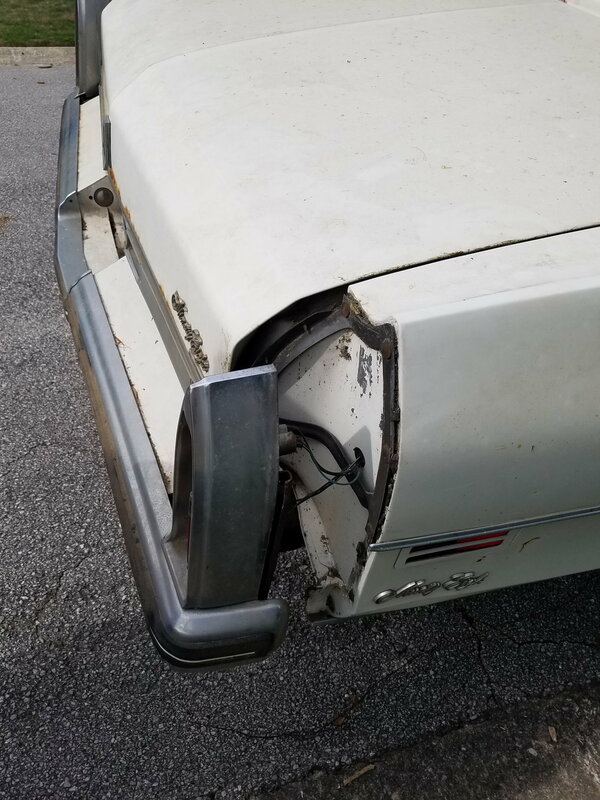 I had to fit up a 'glass rolled pan for an 85 El Camino I did, it fit like crap, but in 4-5 days, I had it fitting perfectly to the body, in gap and shape. And it should last as long as the paint holds up. Even if the ABS holds up for a while, you can't 'easily' do anything with it to make it fit better. Reshaping is difficult and sometimes doesn't last. Last edited by Carshinebob; May 24th, 2017 at 04:06 AM. Still no word back from the O.P. I also tried emailing him and got nothing back there either. I'd love to be able to help another 76 98 return to its former glory so hopefully he continues to show interest.